Increase the effectiveness of your workout with the Gold's Gym 10-pound pair of adjustable ankle weights. The added weight helps to assist in strengthening and toning muscles and increasing stamina. The portable design enables you to work out any time it's convenient; wear them while shopping, walking, jogging or incorporate them into your exercise routine for a more vigorous workout. 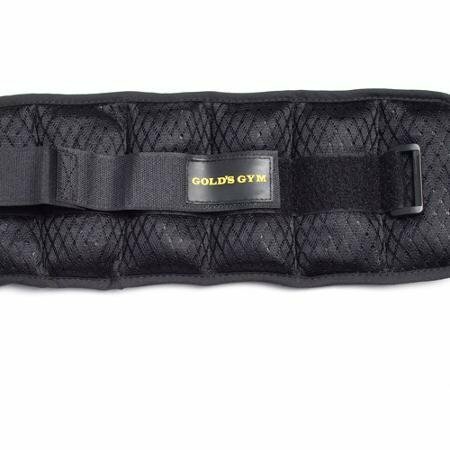 These Gold's Gym ankle weights come in a set of two five-pound weights and are equipped with weights that can easily be added or removed. They are made tough and feature an extended hook and loop closure for a sure fit.